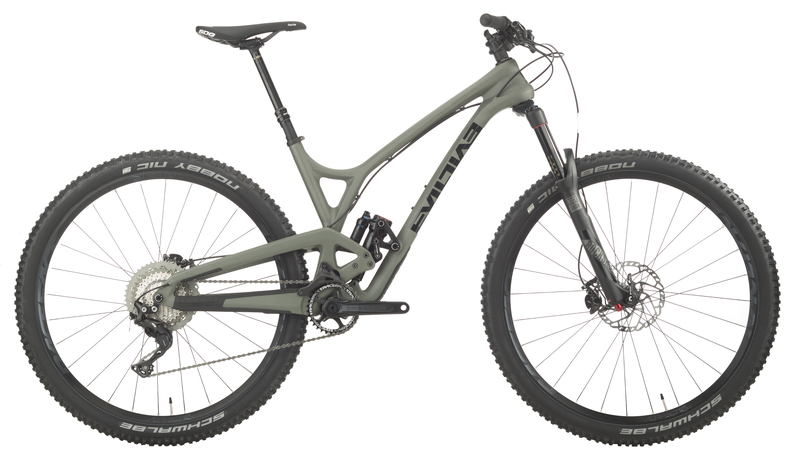 Conceived by the mad scientists of mountain biking, Evil’s new trail bike, The Following, is here to obliterate expectations. 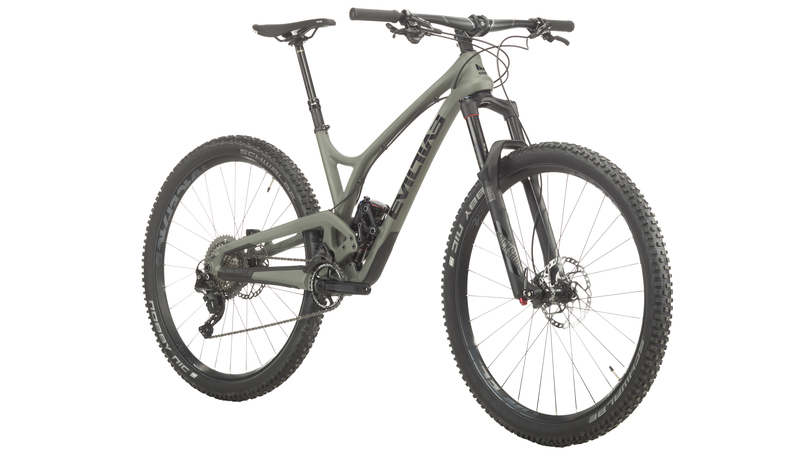 This bike is as fun as it is versatile, able to climb, slash berms, rip chutes, and blast gaps with ease. 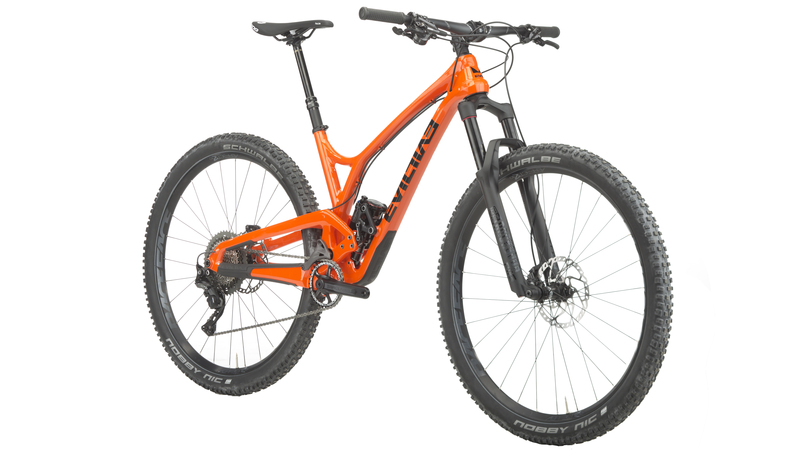 It’s a completely new take on 29-inch wheels. 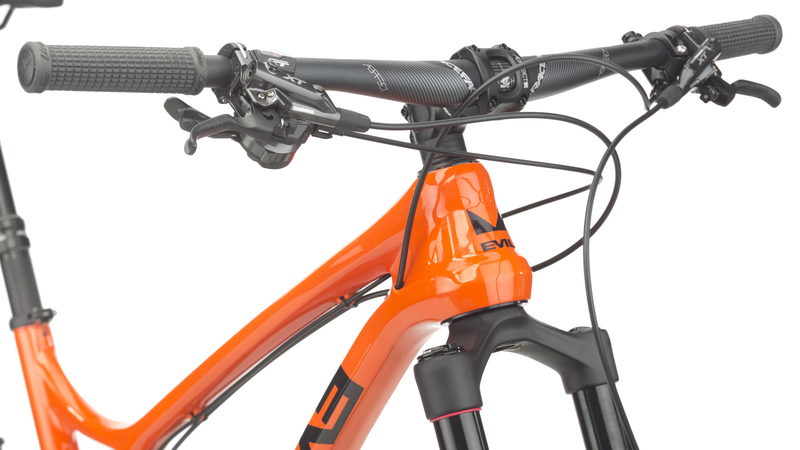 With a sinfully fun carbon fiber frame and Evil’s outstanding Delta System, The Following offers low, slack, geometry. 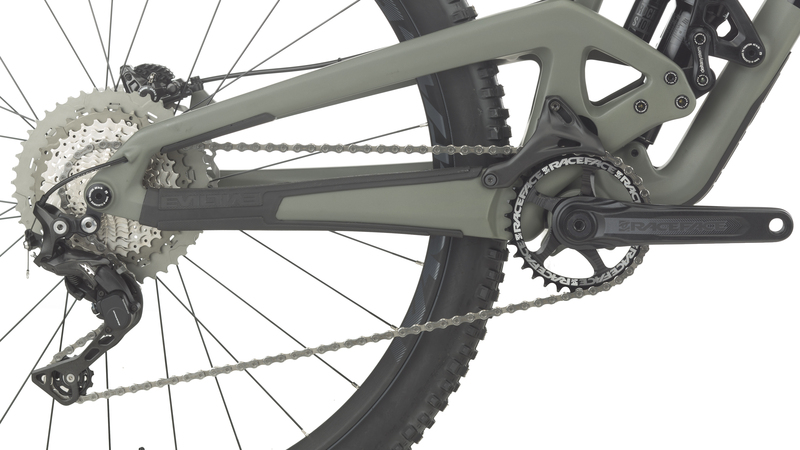 Short, responsive chainstays and an adjustable bottom bracket height, making this a bike that can suit a range of riding styles. 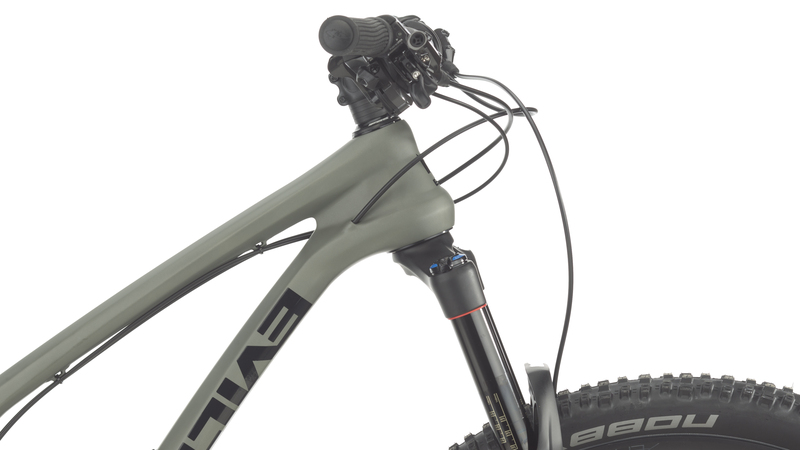 Your Evil Following will arrive expertly spec’d with a Jenson Exclusive Shimano XT build kit. This makes for a tasteful blend of performance, reliability, and fun that can only be found at JensonUSA. 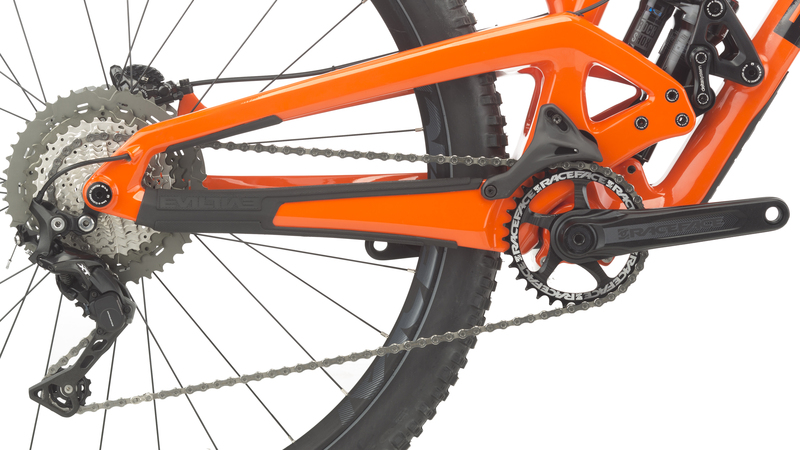 The XT 1x11 drivetrain and 11-46T cassette provide a range to climb steep and descend fast. Race Face’s Aeffect line covers the wheels, cranks, and cockpit, giving you lightweight efficiency and exceedingly responsive handling. 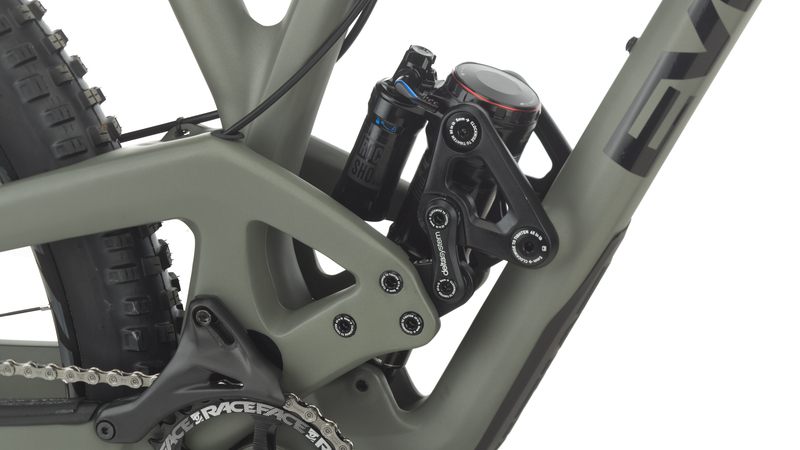 Shimano’s XT brakes offer ample stopping power for navigating tricky situations. 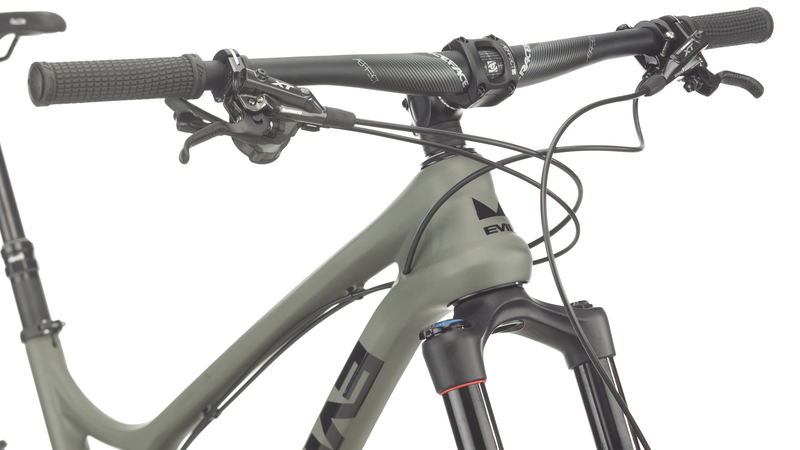 The frame is made with uni-directional one-piece carbon fiber and features integrated chain guides and cable routing. 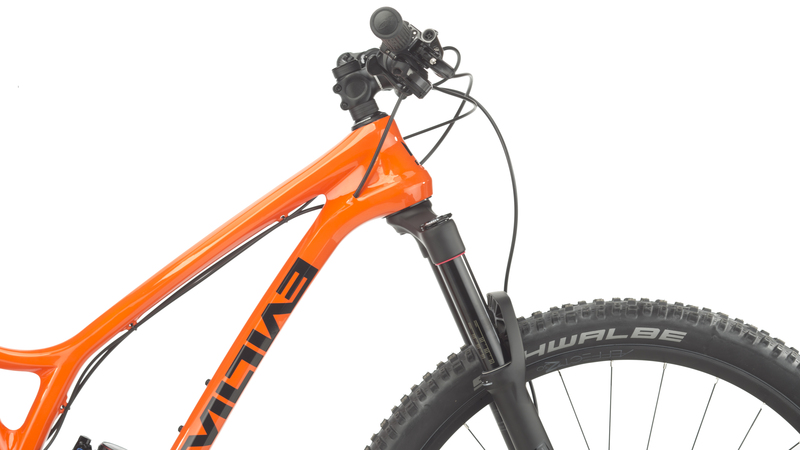 The downtube and chainstays feature rubber protectors, and the bolt-on, boost axles are smooth and stable. Live the color and love the way it feels on the trail. Any idea what the overall weight of this bike is? Size large? What does Spec A Mean? These bikes are frame up unique builds that we do in-house at Jenson USA. 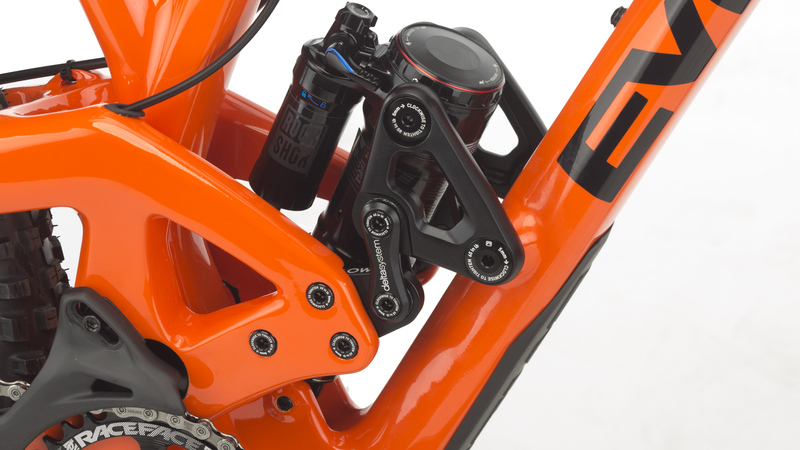 Spec A is just the designation for that specific build of components. I hope that helps! Hit up our Gear Advisors if you have any needs or questions. 888.880.3811.